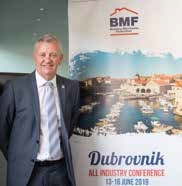 John Newcomb, Chief Executive of the Builders Merchant Federation explains the importance of maintaining strong relationships with European builders and manufacturers post Brexit and explains what the BMF are doing to attract young people to the industry. 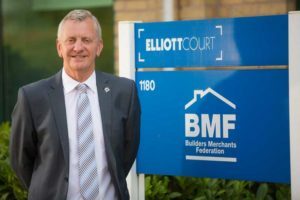 What are the latest developments at the BMF? 2018 has been an important year as our new Board of Directors approach 12 months in office and have now completed a strategic review planning for the future. We have also recently announced the details of our bi-annual conference, to be held in Dubrovnik in June 2019. Firstly, because we represent members who voted for each outcome, leave and remain, we have adopted a completely apolitical stance on Brexit. Our role now is to look for positive outcomes and protect our members from any negative effects that might arise post-Brexit. Advising members is obviously difficult until the trade arrangements are agreed but, in the meantime, we think it’s important for merchants to focus on developing what they do best, which is excellence in the supply and distribution of building materials. A really interesting development however is our new link with The European Association of National Builders Associations and Manufacturers (Ufemat). I was asked to take on the presidency for two years, a role which helps shape the strategy of the European Association. There is a fear from Ufemat members of what will happen post-brexit and I think that’s why they feel having a British guy heading up the organisation is a statement of their intent that they don’t want to lose those connections and relationships with our European partners. 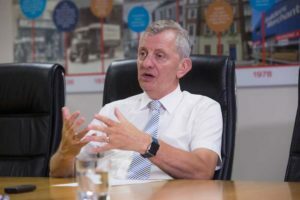 Chris Hayward who runs NMBS is currently heading up Euro-Mat which is the European buying organisation, so the irony is you’ll have two heads of the two big European organisations both Brits, during Brexit. The exciting thing as President is that I get to run the 2020 Conference in the UK which is a really positive link to our European partners. I’ve always been driven by a desire to succeed in whatever role I’ve been in, starting originally as a graduate trainee in JCB. My roles have naturally progressed, right up from Product Manager and eventually to Managing Director, I think you’re shaped by your childhood, so I guess it’s partly my working class background that’s driven me to succeed. I guess I’ve come full circle, starting with JCB, before moving into consumer marketing where I worked for Kingfisher in retail before moving on to marketing product brands like Russell Hobbs. Then 6 years ago the circle was completed, and I was back in the construction industry. 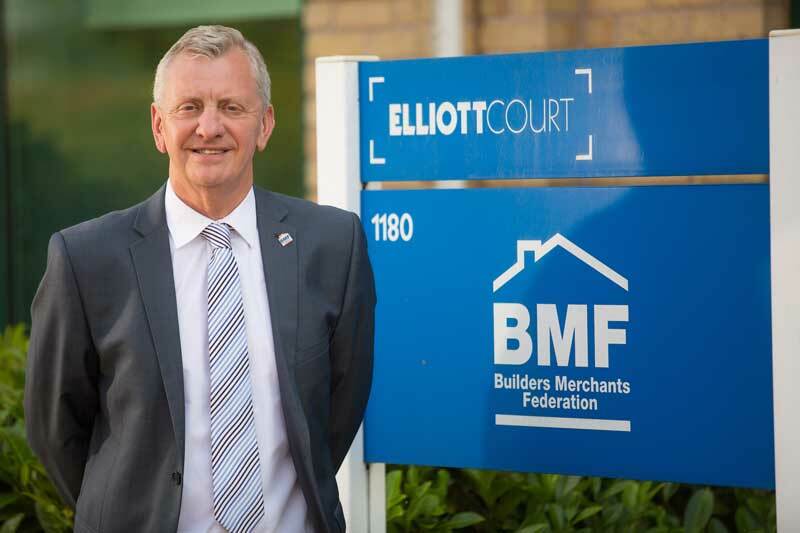 The manufacture and distribution of building materials is worth around £56 billion, so BMF members are responsible for around a third of the estimated £150 billion UK construction market. It’s a fantastic industry to work in and I think the Government are starting to understand that a strong construction industry is important for a strong economy, but it’s still one of those industries where we can talk ourselves very easily into recession. Because it’s obviously very male-orientated we need to be mindful of diversity and inclusion, which is currently a big topic within our sector. We are passionate about bringing young people into the industry and are taking an active approach to promote it. Firstly, we have our own dedicated website merchant-recruitment.co.uk, so this is a great resource for anyone considering a career. The site includes video clips, featuring a range of job roles and gives a flavour of what it’s like to work in the industry. BMF also participate annually in Apprenticeship Week, so again we have lots of kids from schools and colleges that come along that can talk to people / members about what it’s like to work within the industry. I think one of the things we do very well, is a group called ‘Young Merchants,’ it’s open to both merchants and suppliers aged between 21 and 40. This is the age group who will be running the industry in 15-20 years’ time. Currently about 80 strong, the Young Merchant Group meet twice a year, plus an overseas trip to broaden and develop their experience in the industry, by seeing what merchanting and manufacturing is like in other countries. There’s a great social and networking element to it as well, going out for a meal, and having a few drinks in the evening as a group. 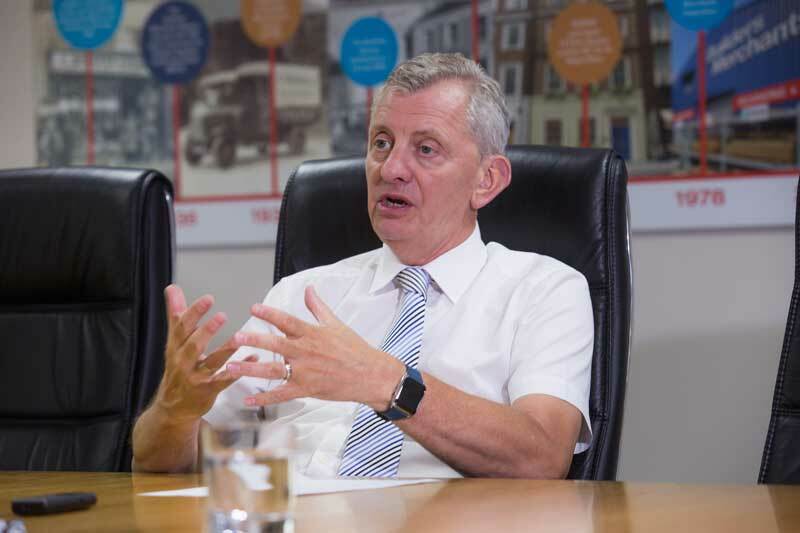 I believe in them passionately and we now run around 60 events annually, with almost every event open to both suppliers and merchants, because we believe both parts of the supply chain are equally important. The events range in size, from a round table discussion of 15 people, to an all industry conference where we have 465 delegates. The most important thing is that we are providing networking opportunities for suppliers and merchants to talk about each other’s businesses, share best practices and its particularly relevant now because we have a number of material shortages in the industry such as timber, roof tiles and insulation and it’s very easy for one to blame the other. We will shortly release our new five-year strategic road map, setting out very clearly where we want to go. We’ve come a long way over the last six years, doubling membership to 650 from 324, since I joined the BMF. The key now, is not to rest on our laurels, there is plenty of growth within the market and opportunities to add new suppliers and merchants. As the leading trade body in the sector we want to drive awareness of changes in areas such as technology and the need for diversity in the sector. This year for example, we hosted our very first technology forum which was a big success. I think we’ve got a great future, but we are conscious of not being complacent, never being arrogant about where we are, but always looking to grow. The IOBM haven’t finally voted on the merger, but I absolutely believe in the role of this institute, if you look at professions like marketing, accountancy and plumbing and heating, there tends to be a chartered institute. The progress at BMF has been impressive and a testament to your leadership. It’s all down to the support of our members at the end of the day, the organisation is built around that relationship. Too many trade associations forget that it’s the membership that keeps them in a job, but hopefully my team don’t have that view. We are also building a strong team by bringing quite a lot of young people into the organisation with new and fresh ideas, and it’s obviously important we practice what we preach!